The beaded socks are done. These were the 3rd stage of Tour de Sock and are in pattern Stardust and yarn Smoothie Sock. The yarn was a birthday present from my sister-in-law. I got the beads from Beads Direct. I know there were some queries about the practicalities of beads on socks, but I can’t yet settle the argument one way or another since I haven’t worn the socks out of the house. I’ll let you know. I’m quite glad to get these finished, since they had been on the needles for a couple of months. My usual rule is only one pair of socks in progress at any one time, but competitive knitting means adding more things into the mix and last week I had 5 socks on the go. Now I am back down to 1, of which more another time. A swirl jacket from the book Knit, Swirl. See previous post for a look at the yarn. A Color Affection Shawl – I went through my entire sock yarn stash and picked out a possible selection of yarns, including a (horribly fuzzy) blue with a very long colour repeat that needs very plain knitting to avoid driving me mad trying to read the knitting. 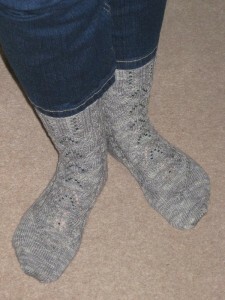 Catch-up with the When Granny Weatherwax Knits sock club from Knitting Goddess. I subscribed from January to June and I’ve only made 2 of them so far. Do some more to my mitred square scarf and maybe even some squares on my big cotton blanket. The first priority is to knit gloves. 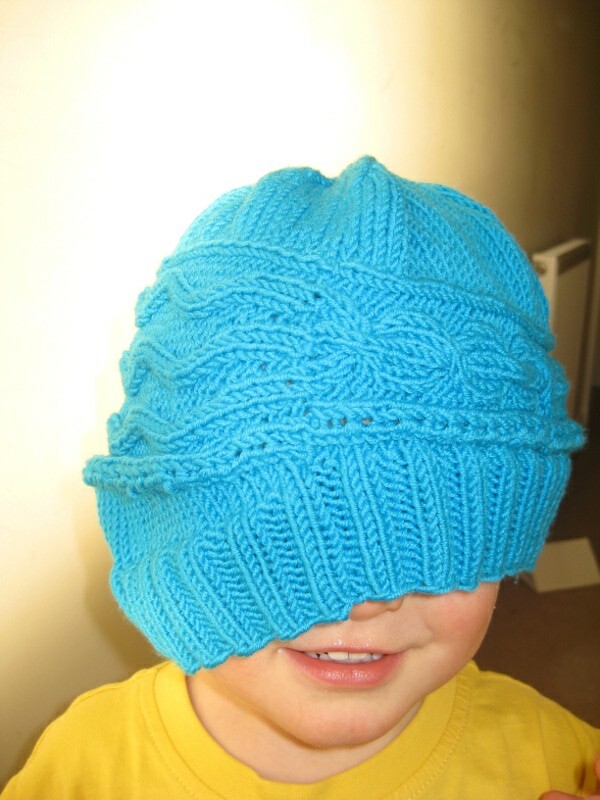 The hat that I’m trying to match is the Bloody Stupid Johnson hat from Knitty, ably modelled by T here. I like the cables, but I don’t think I need to match them on the gloves – as long as there are some cables, I think that will be sufficient. Millamia is sport weight, so I did some searching on Ravelry and narrowed the choices down to 3 possibles. These have cables, and are very long. I’m not sure whether I would add the buttons all the way up the side. These would also give me the excuse to buy the full book of Whimsical Little Knits 3. Any ideas? Which are your favourites out of those gloves, and why? In a few weeks time I will also be looking for suggestions for a scarf or cowl (depending on how much yarn I have left) to go with these. In order to find the links to all these, I’ve just been looking at my Ravelry queue and discovered many more projects I want to knit, although the order in the queue bears no resemblance to the order I intend to knit them. 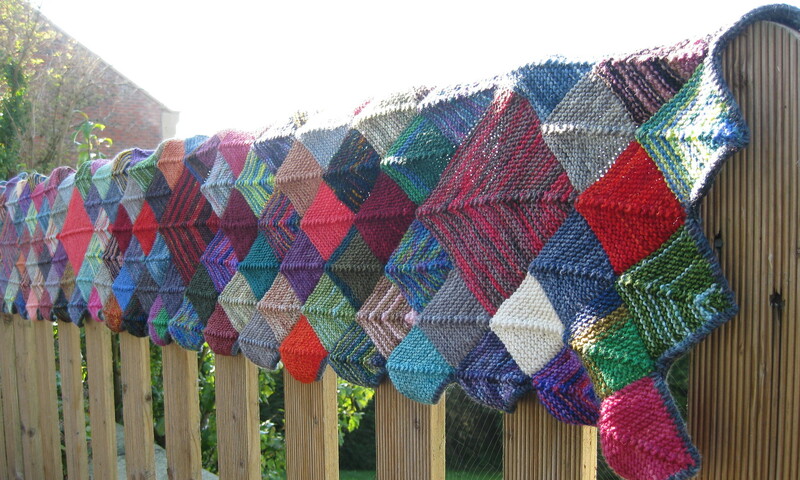 I’d go for the Ysolda Teague pattern – I think knitting the Bewitching Hour ones would drive me mad, and the others aren’t “proper” cables. Plus there is the excuse of buying the book too!